Albion Guest House in New Brighton have a wide range of comfortable rooms available including en-suite rooms and our Lighthouse Suite. 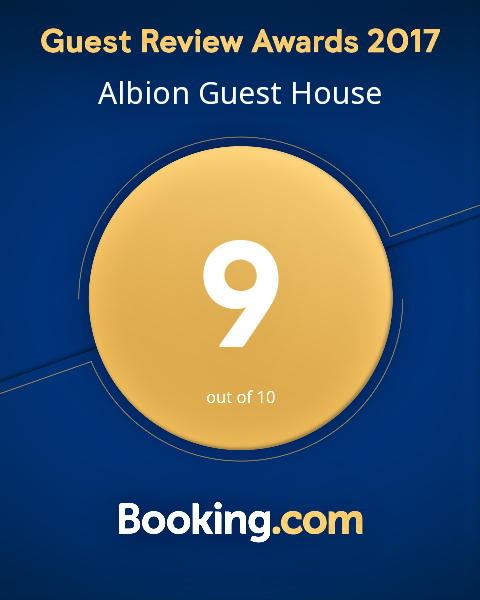 Our guests are always telling us what a great nights sleep they have at Albion House Guest House. Our room styles are modern and practical. We don't like clutter but we don't like to think they're minimal. Our beds are comfy, warm thick duvets, crisp cotton bedding, blackout blinds in every room and warm fluffy towels in case you need a shower before sleep. All rooms have flat screened TVs. We offer a choice of accommodation to meet your budget and needs. Our ensuite rooms are available as double or twin rooms and an extra bed can be provided if required. We have ground floor (en suite) rooms and great views over the Liverpool Bay from our "Lighthouse"
Our comfortable double en-suite rooms with shower are situated on the ground and first Floor of Albion House Guest House they are available as double beds or twin beds and an extra bed is available if required. See our access statement for info on ground floor rooms. Our three comfortable double first floor rooms share a shower room and separate WC. Our Lighthouse suite has two large loft rooms with great sea views, ceiling fans and washbasins in the room . These rooms can be made up as huge 6ft superking doubles, triple or family rooms and as a suite it can sleep up to six persons. If its an extra bed or family room we aim please. let us know how you want your room and we will try our best to provide what you need.